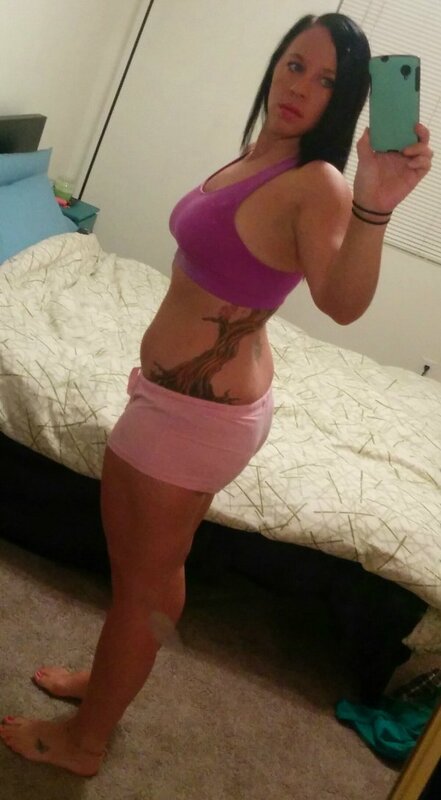 "I never expected that I'd be able to get as fit and healthy as I am today." Weight 184 to 132 (52 pounds). Body fat from 26% to 11%. I cut for approximately a year and a half before switching to maintenance diet. I lost a total of 52 pounds and cut 15% off my total body fat percentage. I did a reverse diet, as Mike suggests, after my bikini competition in October 2016 to get myself back up to maintenance numbers. I’ve also experienced a significant increase in my weight lifting capacity. 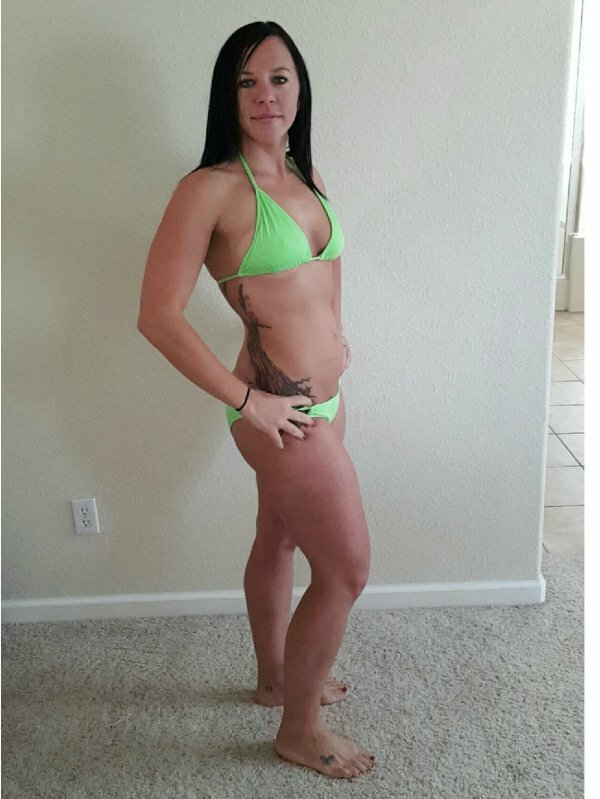 I was able to compete in my first bikini competition in October 2016! I got second place!! I use the 5-day split. Nothing kept me from buying the book! I was hesitant about starting the program due to fear of not doing it correctly or not being able to stick to it. I read the book in its entirety and outlined my workout regimen and diet as Mike suggested. I then re-read the book and noted the more significant information and started the program! The program is easy to follow. It seems overwhelming at first because Mike offers so much information, but once I was able to sit down and outline everything, it was clear and concise and easy to follow. The information provided is written in such a way that it is easy to understand and apply to daily life, too. The results were better than I expected. I had hoped to lose some weight and get in shape, but I never expected that I’d be able to get as fit and healthy as I am today. I haven’t tried other programs. I can participate in any activity without fear of failure; not that I won’t struggle and that things won’t be difficult, but that I can do them and learn and grow and be challenged. I am more confident in all aspects of my life. I have more energy and when I don’t feel like I have the energy, I know how to conjure it. I have recommended this program to my friends and family. I have also recommended it to several patients. Those who have listened, read the book, and applied the program have had substantial success, too. 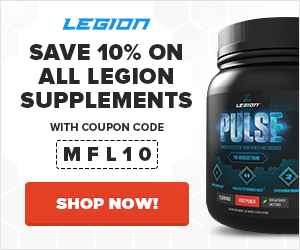 I use Legion WHEY+ (vanilla is my favorite), TRIUMPH, FORGE, and PULSE. Muscle for Life Success: Matan R.